California Making History with Self Driving Vehicle Law. Imagine a time where you get into your vehicle and rather than driving away normally as you do so often, instead you have an interface that allows you to type in the address that you would like to go to and then you just sit back and your vehicle does all the work for you. If this were possible, you could literally sit in your car and browse the internet or watch your favorite show on your mobile device all while travelling to your destination. You are probably thinking that sounds pretty cool, but will never happen. That dream may be closer to a reality than you think, especially based on the new bill being signed into law today by California Governor Jerry Brown. 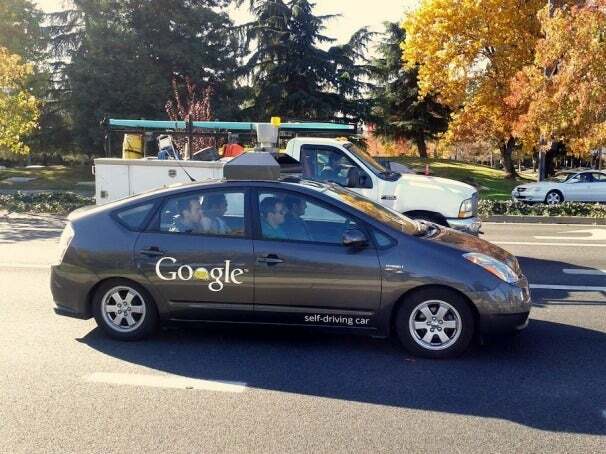 The bill (S. 1298) is sponsored by California Senator Alex Padilla and Google founder Sergey Brin, which establishes safety and performance standards for self driving cars. Could self driving cars really be a reality? Are they really safe? Without understanding how the technology works, it is hard for me to say, but Mr. Brin believes that it is much safer than a car being driven by a human. The self driving car has been in development by Google for over two years now, but there are more questions than answers currently for how it works. What would the car do if you are driving down a road without lane markings? How does it react when on the road with unpredictable human drivers? Would you trust the system well enough to just sit back and relax or would you be sitting there ready to jump into control if needed? Is this a feature that could be added to older model vehicles or would drivers have to purchase a new vehicle with this equipment? The answers to these questions will ultimately determine if this idea takes off or gets stuck on the runway. So why is Google branching in this area? According to Sergey Brin in an article by Chloe Albanesius in PCmag.com, Google’s goal is “creating technology to dramatically improve the world.” He feels that “the self driving car can really dramatically improve the quality of life for everyone here in California, the country, and the world”. With that in mind Brin envisions a world with self driving cars that could drop you off and pick you up at your job each day and allow you to relax and do other more interesting things during your daily commute or while stuck in traffic. It also would have an impact on how cities would be developed. Parking lots could be moved out of the congested city areas since self driving cars could drive themselves to an off-site lot to be parked. Lastly, Mr. Brin sees this technology as a potential cost saver by trying to drastically reduce the cost associated by the estimated 40,000 Americans who are killed in car crashes yearly. In my opinion, the idea of a self driving car in theory is a good one, but there are just so many moving parts to traffic safety that must be considered. One quick example off the top of my head: Who is liable for a vehicular crash between two self driving cars? It is important to note that this law is not making self driving cars legal, it only creates standards that must be met. So now Google will go to work with the best and brightest to see if they can make this a reality. I will be one interested party to see how it turns out. Until we have have self driving cars most of us from time to time will find the need to attend California traffic school and DTA offers online courses for only 19.95.